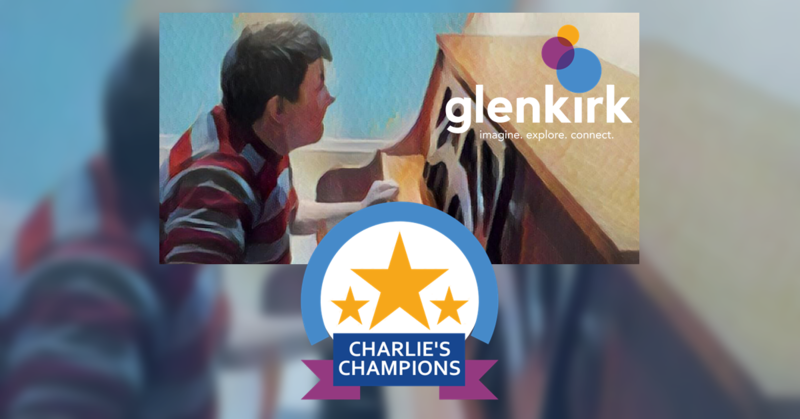 We are pleased to announce Charlie's Champions, Glenkirk's new employee appreciation program. 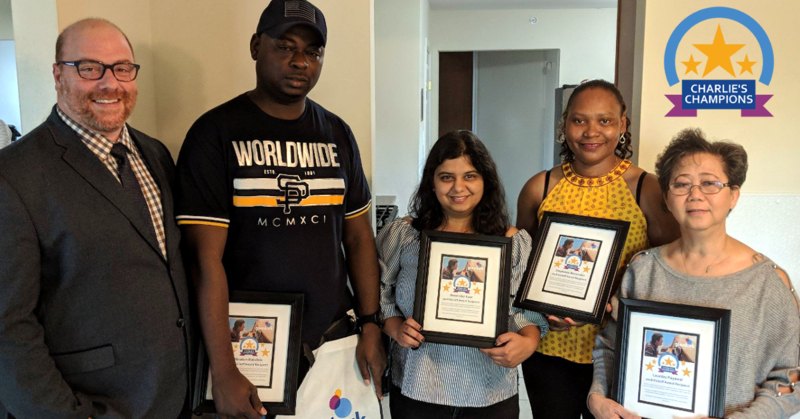 Made possible by the Newcomb family's generosity, this program recognizes individual employees and teams on a quarterly basis each year, as well as one Employee of the Year and one Team of the Year! Awardees will be based on peer and supervisor nominations. Winners will receive monetary awards and public recognition of their amazing service. Nominations are made by teammates and supervisors for employees who provide exemplary service to the individuals Glenkirk so proudly serves. We are ecstatic to announce that the Charlie's Champions Kickoff Award is being given to the entire Chestnut CILA team, reflecting the Newcomb family's appreciation for the decades of support Charlie received from his passionate and caring support team. As will be the case with all Charlie's Champions awards, the Chestnut team exhibited positivity, respect, creativity and dedication in helping Charlie live his best life. On behalf of the Glenkirk family and the Newcomb family, thank you to the entire Chestnut CILA team and congratulations on this well-deserved recognition. Keep an eye on Glenkirk's website and Facebook page for more information about future award announcements!